Remember when power tools were actually powerful? 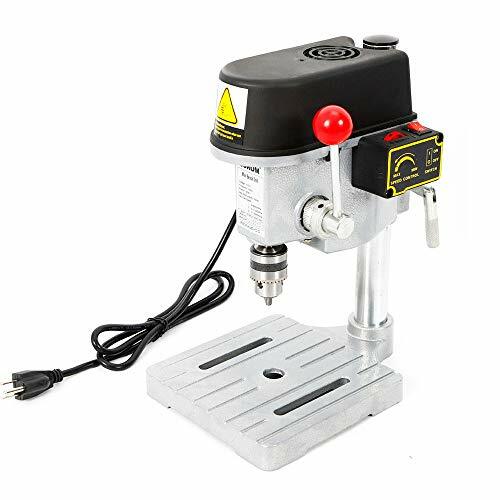 WEN s 10-inch swing drill press with laser centering device is a powerhouse for your shop. 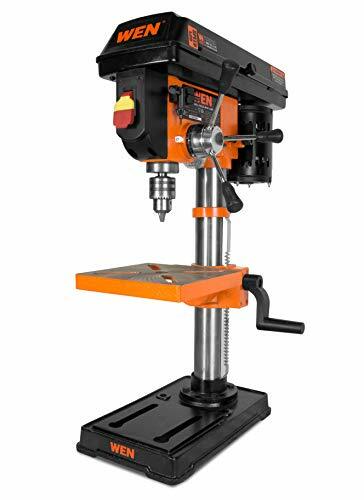 Packed with features that you ll find in larger, more industrial type drill presses, you can power through metal, wood and other materials with ease. Change from five speeds to target the exact RPM right for your project (600, 1100, 1700, 2400, 3100 RPM). Rigid frame construction of cast iron provides sturdiness and reliability. Its powerful induction motor features ball bearings for an extended life, all combining together with smooth and balanced performance at any speed. The 1/2 chuck with JT33 spindle taper gives you versatility with a variety of bits. Worktable bevels 45 left and right for those tricky operations for the perfect right angles consistently. Base has predrilled holes for mounting onto a bench or work stand. The X-pattern Class II 1mW laser locks-on to your drill points saving on guesswork and sparing expensive materials. A very versatile and valuable tool for any shop especially when you expand its range of use with optional accessories such as mortising attachment, drum sanders, circle cutters, etc Since 1951, WEN has proudly produced innovative powered tools focused on value delivering meaningful features that will help you complete and enjoy the work as much as the project. Remember when you could drill holes with laser precision? Remember WEN. 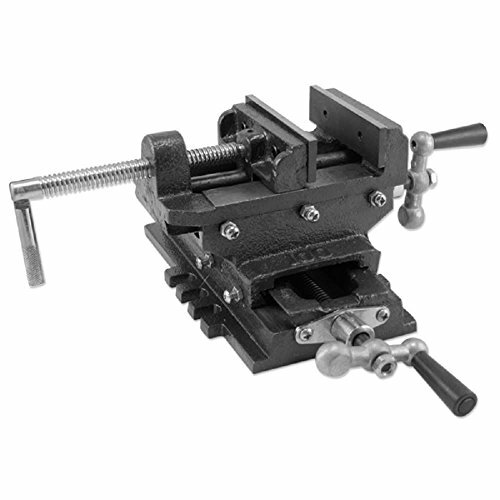 This 4" cross sliding vise will easily turn your drill press into a milling machine. 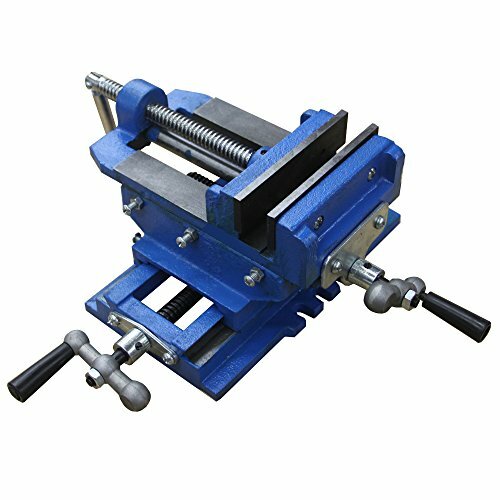 Easily machine wood and metal parts with high precision and quality utilizing this vise and it's precise moving slides. Can also be attached to a lathe or other tools as needed to hold work pieces in the exact location needed. The ever popular W1667 and W1668 oscillating drill presses now have a big brother. Meet the W1848 floor model oscillating drill Press. Just like the Benchtop versions, this drill Press features our patented oscillating Spindle for efficient contour sanding. Convert from drilling operations to sanding operations in a matter of seconds with just a few tool-free steps. Remember when power tools were actually powerful? 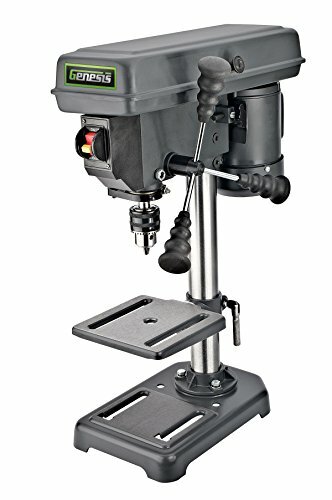 WEN's 10-inch swing variable speed drill press with laser centering device is a powerhouse for your shop. Packed with features that you ll find in larger more industrial type drill presses. This drill press has the power to drill through metal, wood and other materials. The variable speed feature allows you to target in the exact speed (infinitely from 530-3100) that works for your project. Simply move a lever and adjust the speed as needed. No pulleys and belts to change. Our design uses a mechanical variable speed which allows for the same power and torque through the entire speed range. A digital readout displays the running speed. Constructed with a rigid frame consisting of cast iron. Its powerful induction motor features ball bearings for an extended life and it all comes together with smooth and balanced performance even at high speeds. The 1/2 in. chuck with JT33 spindle taper gives you versatility with a variety of bits and features on-board chuck key storage, so you never have to hunt around for it. Worktable bevels 45 left and right for those tricky operations for the perfect right angles consistently. Base has pre-drilled holes for mounting onto a bench or work stand. Slotted table allows for mounting clamps and vises for effective mounting. The X-pattern laser locks-on to your drill points saving on guesswork and sparing expensive materials. Remember when you could drill with laser precision? Remember WEN. A Fully Adjustable Heavy Duty 5 Cross Slide Vise. Turn Your Drill Press Into A Milling Machine. 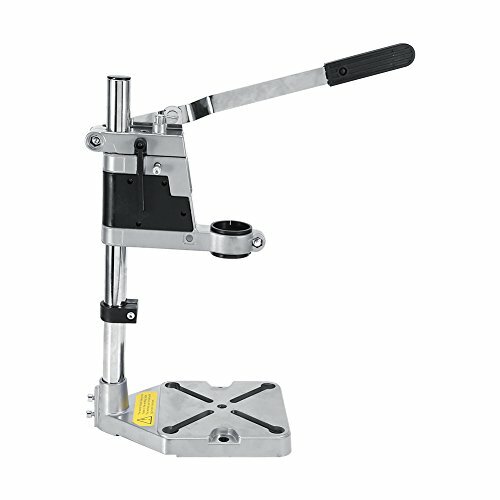 This Cross Slide Drill Press Vise Features: Heavy Duty Construction, Jaw Width: 6", Maximum Jaw Opening: 6", Vise Travel: 7 3/8", Vise And Cross Slide Have Adjustable Shims For Fine Adjustment, Overall Height 6 7/8", Precision Threaded Clamping And Cross Slide Screws, Cross Slides Have Removable Adjusting Crank Handles"
A Fully Adjustable Heavy Duty 5 Cross Slide Vise. Turn Your Drill Press Into A"
Great speed, low noise, long life drilling no swing, drill breakage rate is very low, high efficiency. With speed regulating switch, speed can be adjusted easily. Mainly used for wood, plastic plate, a resin plate, aluminum, composite panels and another non-hard material drilling. The Genesis GDP805P is perfect for the DIY project that needs power and convenience at an affordable price. Powerful 2.6 amp motor delivers power and performance via a 5 speed gear box. The 1/2" chuck accepts larger bits and the table is able to Tilt 45 to meet your project needs. Genesis' two year warranty means you can buy with confidence. Add the Genesis 8 In. 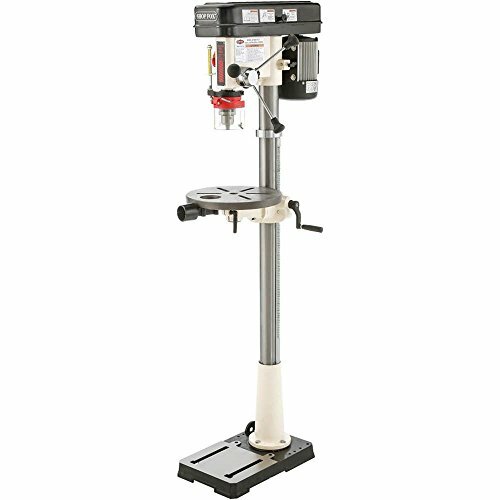 5-Speed 2.6 Amp Drill Press to your work shop today! 2.6 amp induction motor for quiet, smooth performance | Comfortable for long term use with precise results! 5 speeds for versatility | Easily accessible pulley housing to change speed ranges! 1/2chuck handles large bits | Perfect for projects that require a large bit but not a larger press! Table tilts 0-45 | Versatile drill press with small foot print makes the Genesis GDP805P a perfect choice for your garage or work shop! 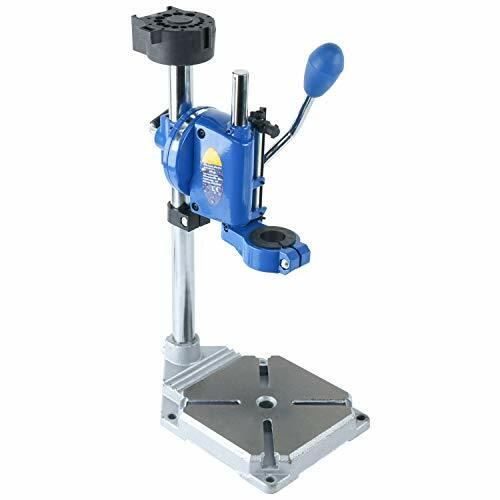 This easy-to-use benchtop drill press is very small, but powerful enough to use for all of your drilling projects. With a platform measuring only 6-3/4" x 6-3/4", it is space-saving as well as economical. Variable speeds up to 8,500 RPM. 1-year warranty. High quality drilling, easy operation, It has a solid column bar and sturdy base, good stability. [Refund Guarantee]: If we can't solve your problem or you are not satisfied with the result, we want a full refund. We will do our best to help you solve. 100% customer satisfaction guarantee is our goal. The Delta 18-900L 18 in. Laser Drill Press features a rugged design for professional use. Ideal for woodworking, it's designed to provide the accuracy and precision you need to get the job done right the first time. It boasts a heavy-duty motor for powerful performance and an auto-tensioning belt drive system for effortless speed changes. An LED lamp illuminates the work surface for enhanced visibility and adjustable laser lines intersect to mark where the drill bit will descend into your workpiece. The accurate Class IIIA laser is built with a high quality less than 5mw laser that operates with precision cross hairs that mark the drilling point. 18-Inch Laser Drill Press with oversized table, and manual. Micro-adjustable depth stops with an independent depth scale mean you can zero the scale and set up for repetitive drilling in seconds. Before operation,please be advised that your drill and our drill press stand are all assembled securely without no loosen. This heavy duty drill stand is designed for use with power drills with collar diameter of from 38mm to 43mm 1.48'' to 1.7''). Cast Iron Base with slots for fitting a machine vice and 4 clamping points for mounting firmly with your worktable . 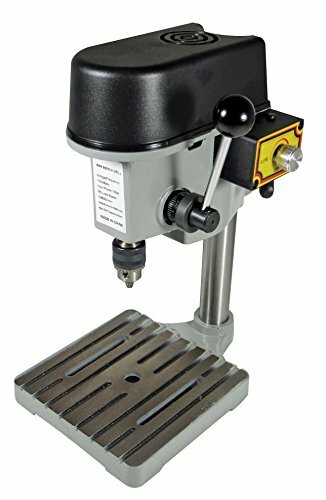 This is a new adjustable drill stand, perfect for shop or home use.Constructed with aluminum ally base,solid column bar,durable to use.Designed for use with electric drills with collar diameter of 38-43mm (1.7"or 1.5"),with black plastic ring for better fix.Drilling depth up to 60mm(2.4"), single hole for mounting.This drill stand is ideal for holding your drill steady during use and allows for much more precise drilling than hand-held operation. Material Electric drill press stand constructed with aluminum ally base,solid column bar,durable to use. Available Drill Designed for use with electric drills with collar diameter of 38-43mm (1.7or 1.5),with black plastic ring for better fix. Drill Depth Drilling depth up to 60mm(2.4), single hole for mounting. 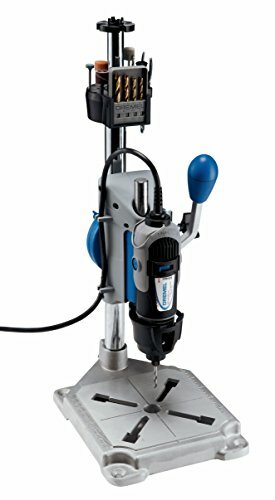 Features This drill stand is ideal for holding your drill steady during use and allows for much more precise drilling than hand-held operation. Package and Shipping Pack of 1 set drill press stand per parcel.Need to assemble.Not including the electric drill.Shipping within US usually takes about 4-7 days. model # 38144V Belt Drill Press..if you need a new belt for any power tool or shop equipment and don't see it here, please send us an email. 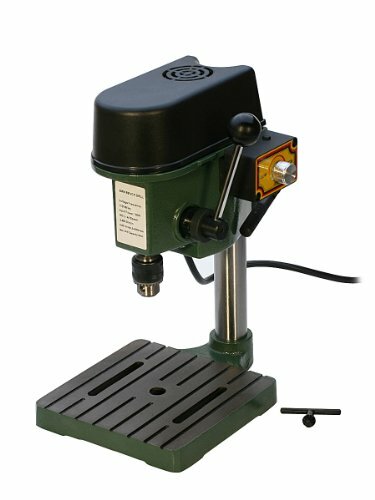 SE is proud to present our 3-Speed Mini Bench Drill. You can drill precise holes with this product. It is easier to use and more accurate than handheld drills. It is useful for craftsmen, hobbyists, jewelers, mechanics, and woodworkers for home and workshops. Important: Avoid getting counterfeit items. Genuine SE products come with our SE logo on the packaging. SE products are quality items for extremely reasonable prices. SE is committed to providing the customer with the best source for value possible on the market. 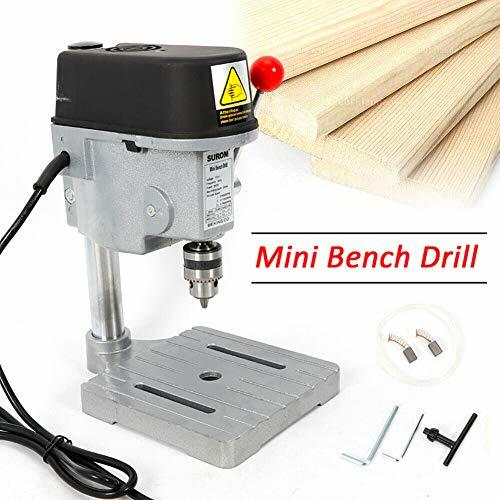 You will enjoy the quality, function and usefulness this SE 3-Speed Mini Bench Drill has to offer. The drill press quill return spring high elasticity and not easy to break. 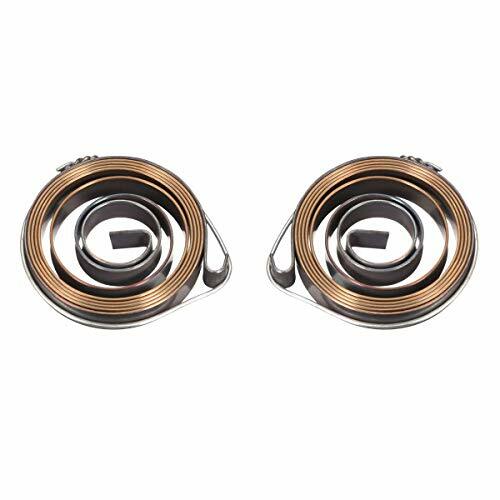 The drill press quill return spring is good replacement for many existing quill spring on drill presses, this is metal spring that returns the quill to the top after you have completed drilling. The wire of the hoop spring must not be removed, otherwise it can not be put on. The balance spring must be reattached to the chain slot, which is to remove the horizontal shaft. 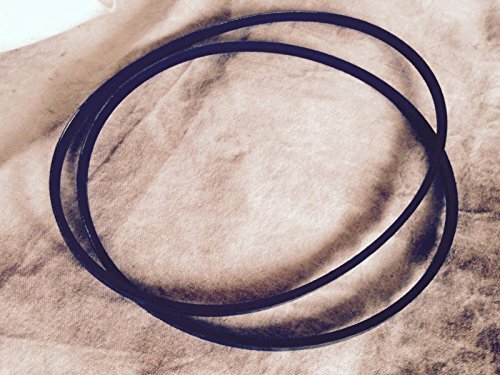 Used to all kinds of vacuum cleaner coil spring, volume tube coil spring, safety belt coil spring.